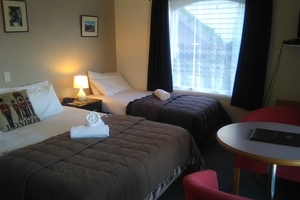 Colonial Village Motels is situated 1km to Queenstown town centre for premier shopping, dining and entertainment. 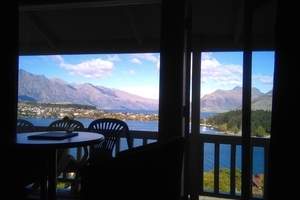 Queenstown is one of the main destinations in New Zealand in both summer and winter. We are happy to assist with rental cars, sightseeing tours, activities and forward bookings. In the winter, skiers enjoy the excellent facilities at both Coronet Peak and the Remarkables, while in summer, water sports are abundant. The scenery is magnificent and can be enjoyed in many ways, on horseback through the historic goldfields, by mini coach over the breathtaking Skippers Canyon or on foot. 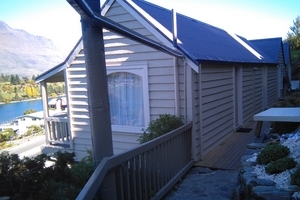 Colonial Village Motels offers the traveller charm, character and a picture postcard view over the lake and mountains.